Jollibee is the best fast food restaurant when it comes to birthday parties. One reason is that their Jolly Spaghetti and Chicken Joy is the favorite of all Filipino. The second and main reason why Jollibee is the best is because of Jollibee – the red and ever-smiling bee. Many Moms and Dads want their kid to enjoy a Jollibee Kids Party. However, parents are stumped by this question: how much is the Jollibee Party Package? One is the 1,500 Pesos Jollibee Party Fee. The other is 2,000 Pesos Jollibee Party Fee. Each Jollibee party fee has its own inclusions and freebies. We will talk about these in a future post. For our computations, let us choose the 1,500 Pesos Jollibee Party Fee. Since we are making “tipid”, let us assume that we will not order additional freebies and add-ons. Jollibee gives us 4 food package options and one “Create Your Own Package” option. Food Package A costs 149 pesos per person. Food Package B costs 198 pesos per person. 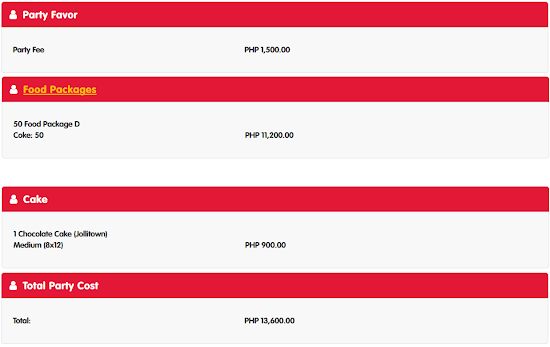 Food Package C costs 194 pesos per person. Food Package D costs 224 pesos per person. We will do our computations for each food packages so as to give you good information when planning your Jollibee party. For the cake, we will choose the medium size cake from Red Ribbon. We will also not request another mascot since Jollibee will already be present during the party. 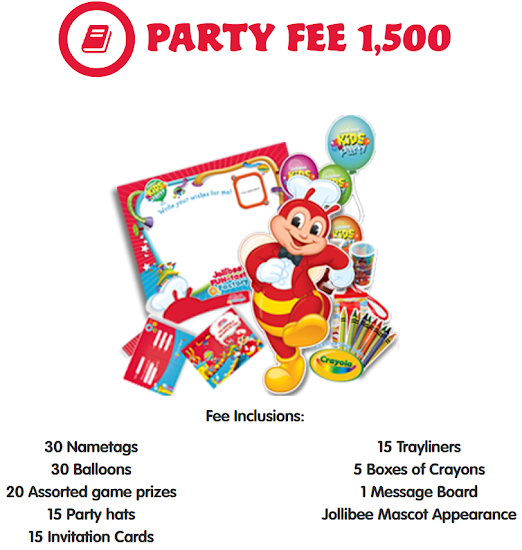 The total price of Jollibee party package for 50 persons, if you choose Food Package A, will be: 9,850 Pesos. 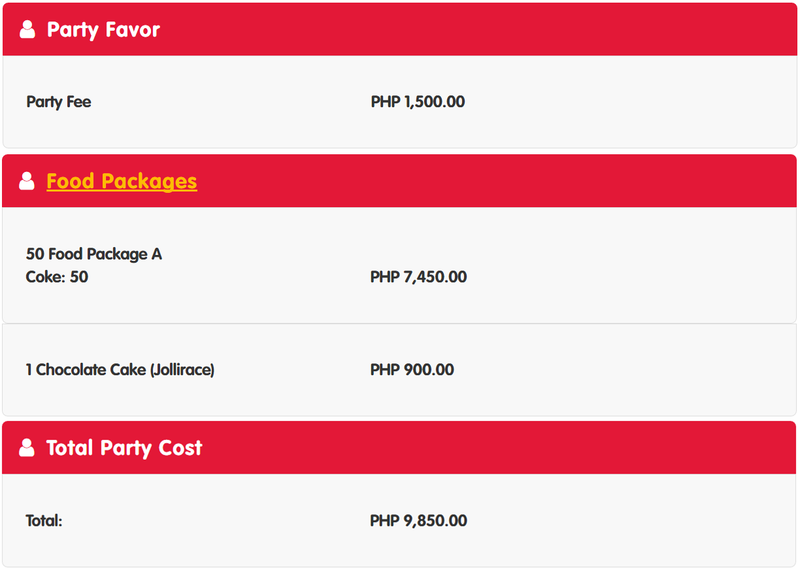 The total price of Jollibee party package for 50 persons, if you choose Food Package B, will be: 12,300 Pesos. 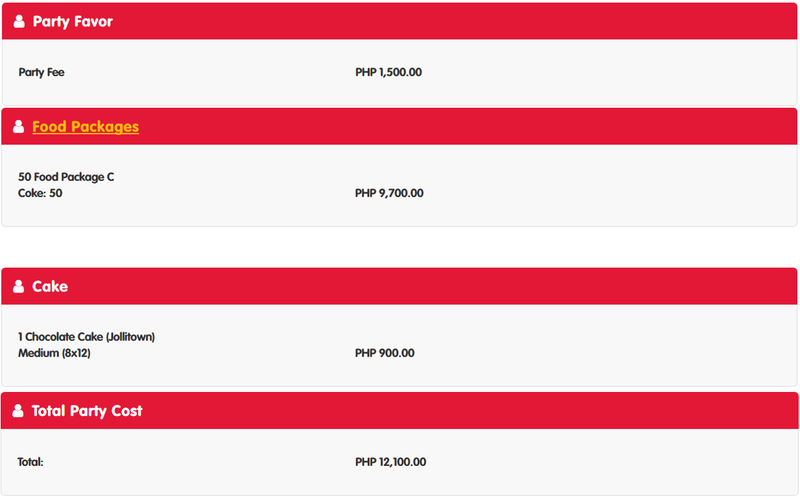 The total price of Jollibee party package for 50 persons, if you choose Food Package C, will be: 12,100 Pesos. The total price of Jollibee party package for 50 persons, if you choose Food Package D, will be: 13,600 Pesos. 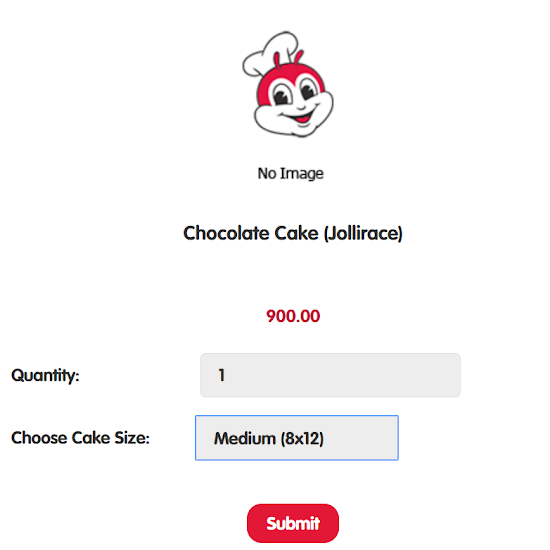 The most expensive Jollibee party package for 50 persons would be Food Package D.
The computation for the Jollibee party was based in the Jollibee Kids Party website. 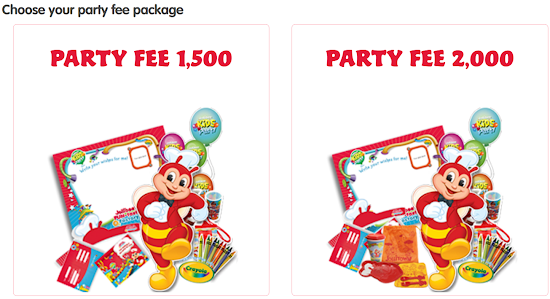 I suggest that you visit the website so you can create your own Jollibee party package that fits your budget.